New Delhi, July 28 (IANS) Coming on the heels of the controversy about “Indu Sarkar”, a top official of the Film and Television Producers Guild of India says such topics have become “radioactive” nowadays. 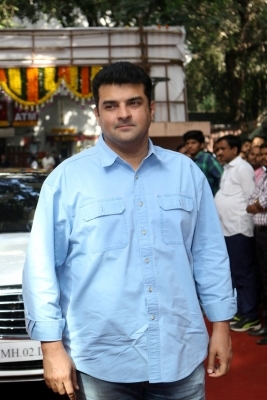 Speaking at the Word To Screen, Publishers Bootcamp by Jio MAMI here, Guild president Siddharth Roy Kapur said that “making a biopic on a political figure is radioactive right now”. Later, prodded by IANS to elaborate on the sidelines of the event, Kapur said: “It’s unfortunately the environment that we are in at this point of time that most filmmakers are self-censoring when it comes to subjects that they pick to make a movie about because they are concerned about how it will finally be received when it goes to the CBFC for clearance. Movies like “Lipstick Under My Burkha” and “Udta Punjab” ran foul of the censor board but were cleared after appeals or cuts. Kapur, former head honcho of Studios, Disney UTV, said that former actress Smriti Irani’s appointment as Cabinet Minister for Information and Broadcasting, would bring about a change for the Indian film industry which was constantly battling censorship woes. “It’s a very positive step because she’s someone who understands the industry. I’m quite certain that we will see an easy and a more liberal view of film certification in the months to come,” Kapur said. Given that the $2 billion film industry of India, one of the largest movie-producing nations in the world, was not generating the moolah it should for a multiple of reasons — lack of screens, slowdown in domestic theatrical revenue, steady growth in Hollywood market share and emergence of digital platforms and quality content — Kapur sees light at the end of the tunnel. “Every industry goes through cyclical times. The cycle we are going through right now is where the economics are very challenging. Having said that, I’m quite optimistic that since we have a very strong movie-going culture, our own ethos of a star system and our own grammar of storytelling, we will come out of this, Kapur, who is married to one of Bollywood’s formidable talent, Vidya Balan said. Exorbitant fee charged by stars can sometimes inflate a film’s budget, but breaking away from the strongly-rooted star system is going to be no answer either, said Kapur. “I don’t think the star system will break and I don’t think it should. But I think that along with the star system, there needs to be great content that can stand on its own without any star. I have seen so many movies in the recent past that have done this and have done it very effectively,” he said. Kapur has been associated — as producer, co-producer or associate producer — with a mix of these — “Dangal”, “Kai Po Che!”, “The Lunchbox”, “Raajneeti”, “Barfi!”, “Chennai Express”, “Shahid”, “Luv Shuv Tey Chicken Khurana”, “A Wednesday” and “Paan Singh Tomar”. Now he is on a new journey of his own — that of driving his home banner Roy Kapur Films.